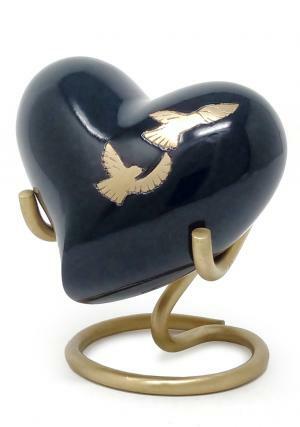 Flying doves heart keepsake urn has a modern feel to the design with perfection of engraving doves finished in silver with an outline of black and the encryption is from skilled professional with years of hand in curving unique urns. 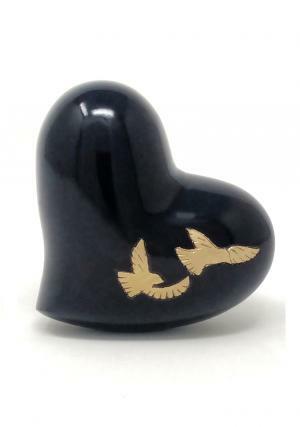 The heart keepsake cremation urn has unique design to present ashes of the loved one in small quantity by cherishing the memories of the demised. 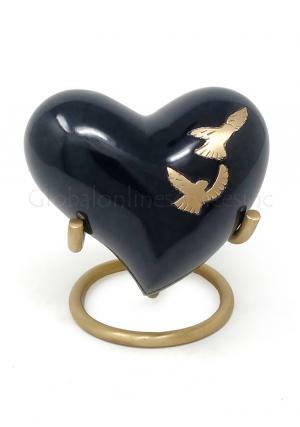 Memorial heart urn with threaded screw behind will help to insert the ashes. 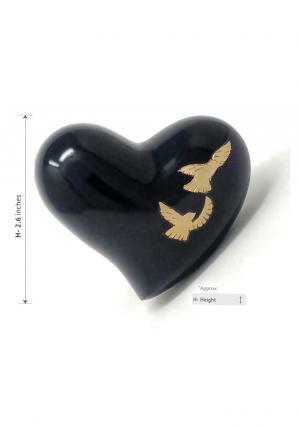 The heart keepsake urn would make it a perfect tribute to safeguard the lovable ashes with a holding capacity of 3 cubic inches and measures to 2.56” inches in height to an approximation.